A woman called police after she found that she'd been robbed, when they showed up to her home, they killed her service dog. Mount Carmel, IL — Jennifer Weir thought she was going to receive help for her stolen property last month when she called police to report a theft. However, when an officer arrived, instead of helping her, he shot her dog Juniper, killing her. According to Weir, as the dog approached the officer, he quickly pulled out his pistol and fired a shot, hitting Juniper. Instead of allowing Weir to render aid to the dog and possibly save her life, however, the officer shot once more, killing her. 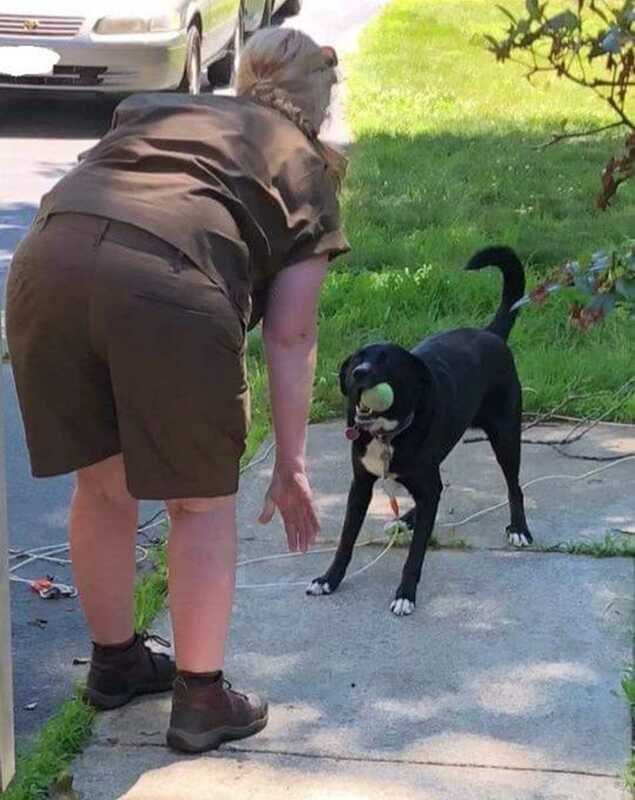 Weir explained to the Mount Carmel Register that her dog is known throughout the neighborhood and barks at people but has never bitten anyone. Naturally, the department is defending the officer’s actions, claiming that his life was in danger. Police Chief John Lockhart told the paper that his officer had no way of determining the dog’s intentions so he had no other option but to kill her. “The dog was on him before he knew it,” Lockhart said. Officers in this situation don’t have the luxury of hindsight and a dog’s actions are the only indication of its intentions, Lockhart explained, according to the Register. Given that the officer was not bitten or harmed in any way, one can safely assume, however, that Juniper had no intention of harming the officer—especially considering she’d never bitten anyone before. 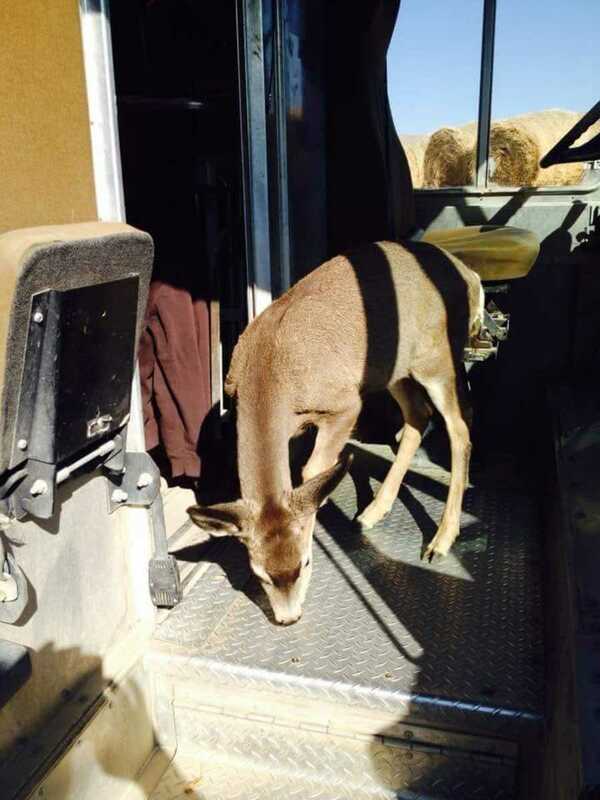 Adding to the tragic nature of this story is the fact that Juniper was Weir’s service dog. As the Register reports, Juniper served as Weir’s service dog. She has multiple sclerosis and Juniper helped her get around when she needed it. Lockhart explained that all of his officers are equipped with body cameras and noted that — although he hasn’t released it publicly—he’s reviewed the video and closed the case. “Unfortunately, sometimes this stuff happens,” he said. Had the roles been reversed and a police K9 was attacking Weir—an innocent woman in her own home—and Weir would have defended herself and shot the police dog, rest assured, this scenario would have played out far differently. The Free Thought Project reports on countless cases of officers siccing police dogs on entirely innocent people, some of whom are left mangled and disabled. If the situation arose in which an innocent person defended themselves against an attacking police dog, that person would likely be arrested, shot, beaten, or even killed. “I honestly feel like he got startled and grabbed his gun and shot without thinking,” Weir said. Sadly, she is most likely right as this sort of thing happens all the time. “Police Kill Dog” is not an uncommon segment of headlines across the nation. It happens so often that it has its own category on The Free Thought Project’s website as well as many other media outlets. According to use of force reports requested by WGRZ-TV under the Freedom of Information Law, Buffalo Police shot 92 dogs from Jan. 1, 2011 through Sept. 2014. Seventy-three of those dogs died. Nineteen survived. This is just one department. 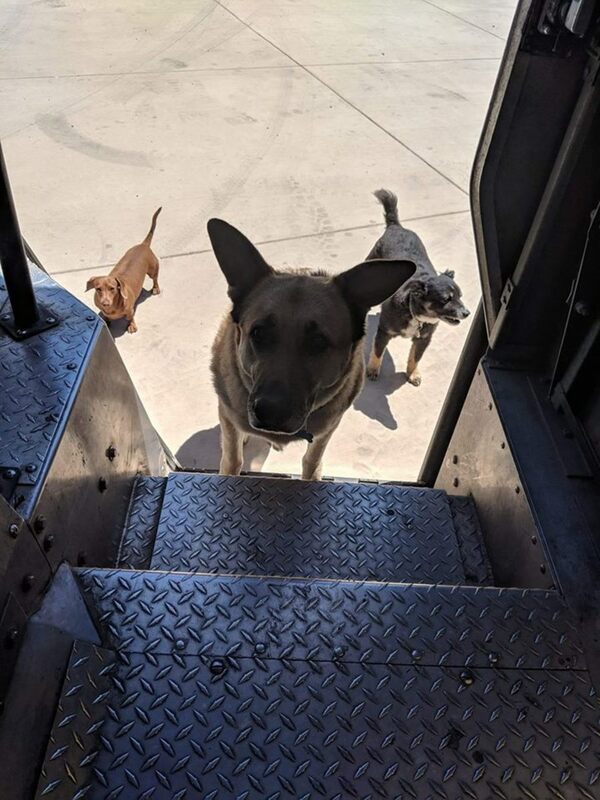 Amazingly enough, pizza delivery drivers and postal workers don’t seem to have much of a problem interacting with dogs, and they are in the same situation that police are in, going to a stranger’s house with no clue what to expect. 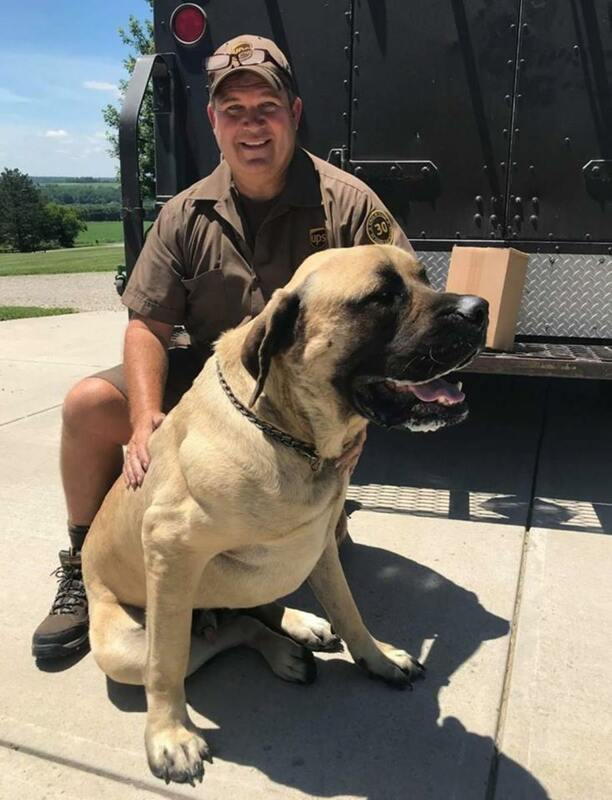 In fact, these delivery workers actually knock on more strange doors and encounter more dogs in just a week than many police officers do in their entire careers. 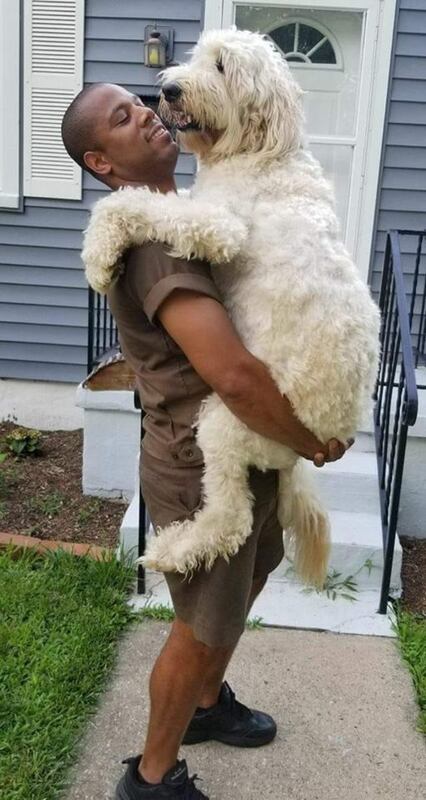 UPS workers accidentally made this point quite clear with a Facebook page last August showing delivery drivers having fun with dogs. 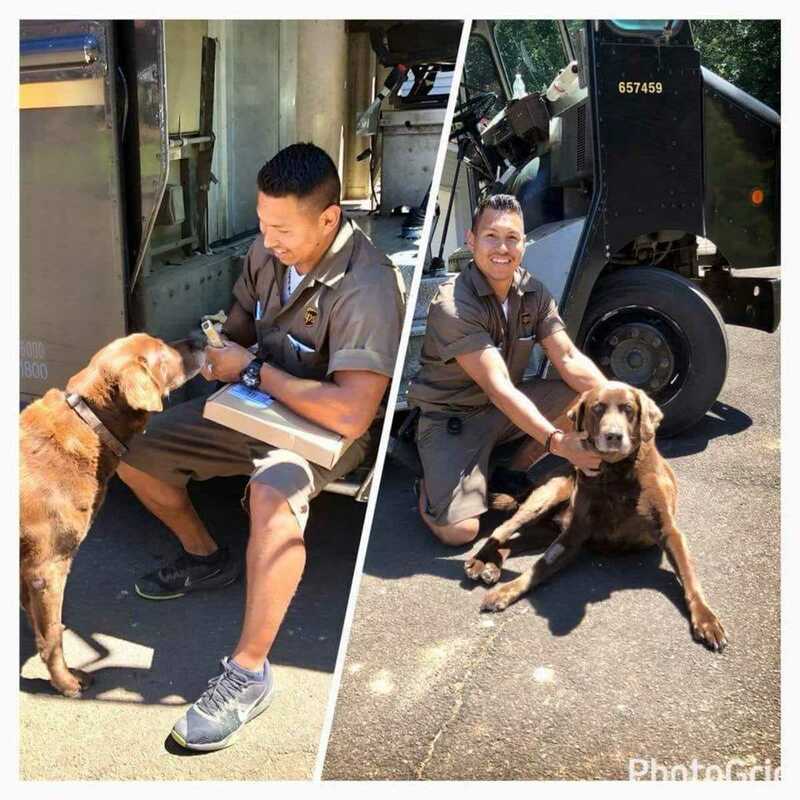 The page features dozens of videos and pictures showing UPS drivers interacting with dogs in a positive way. 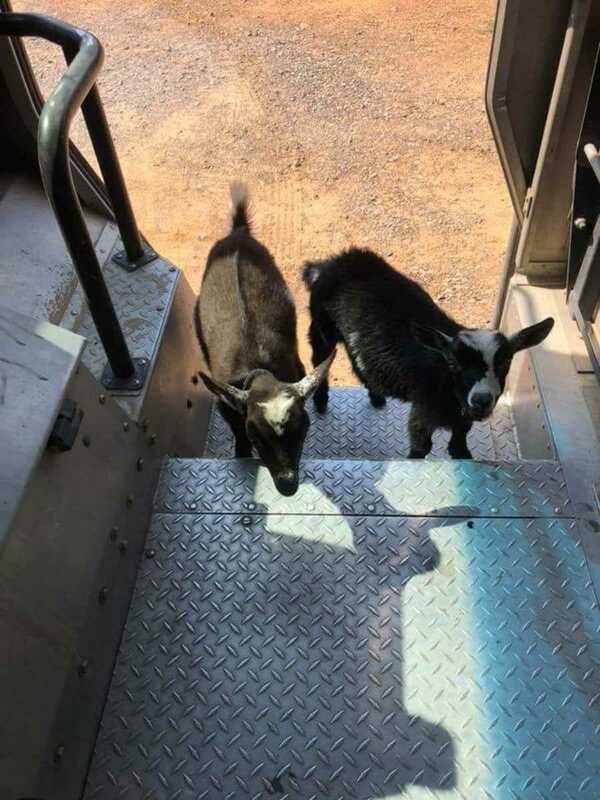 They even have photos of UPS drivers being greeted by deer, or goats jumping into their vehicles. Perhaps it’s time for UPS drivers to start training cops in Mount Carmel and across the country on how not to kill.